Modernism isn't just another architectural style. It is an evolution in design that first appeared around 1850 — some say it began earlier than that — and continues to this day. The photos presented here illustrate an array of architecture — Expressionism, Constructivism, Bauhaus, Functionalism, International, Desert Midcentury Modernism, Structuralism, Formalism, High-tech, Brutalism, Deconstructivism, Minimalism, De Stijl, Metabolism, Organic, Postmodernism, and Parametricism. Dating these eras only approximates their initial impact on architectural history and society. 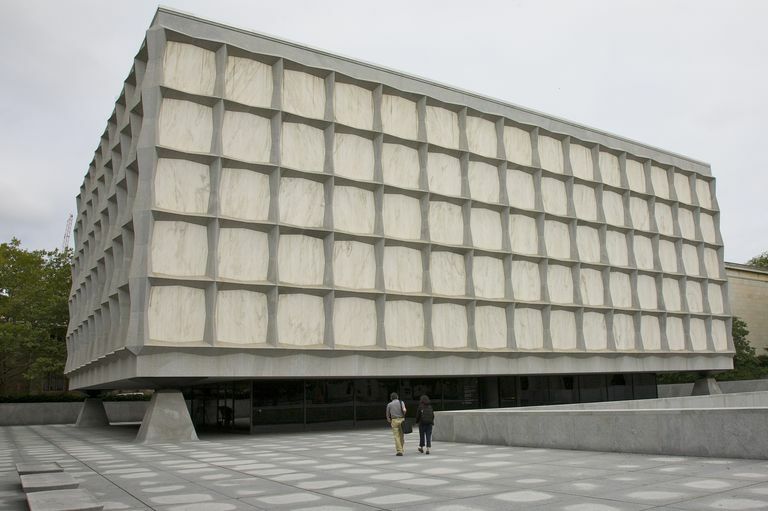 The 1963 Beinecke Library at Yale University is a good example of modern architecture. No windows in a library? Think again. The panels on the outer walls where the windows might be are, in fact, windows for a modern rare books library. The facade is built with thin pieces of Vermont marble framed within granite and concrete clad steel trusses, allowing a filtered natural light through the stone and into the interior spaces — a remarkable technical achievement with natural materials by design architect Gordon Bunshaft and Skidmore, Owings & Merrill (SOM). The rare books library does everything one would expect of modern architecture. Besides being functional, the building's aesthetic rejects its Classical and Gothic surroundings. It is new. As you view the images of these modern approaches to building design, notice that modern architects often draw on several design philosophies to create buildings that are startling and unique. Architects, like other artists, build on the past to create the present. Built in 1920, the Einstein Tower or Einsteinturm in Potsdam, Germany is an Expressionist work by architect Erich Mendelsohn. Expressionism evolved from the work of avant garde artists and designers in Germany and other European countries during the first decades of the 20th century. Many fanciful works were rendered on paper but never built. Key features of Expressionism include the use of distorted shapes, fragmented lines, organic or biomorphic forms, massive sculpted shapes, extensive use of concrete and brick, and lack of symmetry. Neo-expressionism built upon expressionist ideas. Architects in the 1950s and 1960s designed buildings that expressed their feelings about the surrounding landscape. Sculptural forms suggested rocks and mountains. Organic and Brutalist architecture is sometimes described as Neo-expressionist. Expressionist and Neo-expressionist architects include Gunther Domenig, Hans Scharoun, Rudolf Steiner, Bruno Taut, Erich Mendelsohn, the early works of Walter Gropius, and Eero Saarinen. During the 1920s and early 1930s, a group of avant-garde architects in Russia launched a movement to design buildings for the new socialist regime. Calling themselves constructivists, they believed that design began with construction. Their buildings emphasized abstract geometric shapes and functional machine parts. Constructivist architecture combined engineering and technology with political ideology. Constructivist architects attempted to suggest the idea of humanity's collectivism through the harmonious arrangement of diverse structural elements. Constructivist buildings are characterized by a sense of movement and abstract geometric shapes; technological details such as antennae, signs, and projection screens; and machine-made building parts primarily of glass and steel. The most famous (and perhaps the first) work of constructivist architecture was never actually built. In 1920, Russian architect Vladimir Tatlin proposed a futuristic monument to the Third International (the Communist International) in the city of St. Petersburg. The unbuilt project, called Tatlin's Tower, used spiral forms to symbolize revolution and human interaction. Inside the spirals, three glass-walled building units — a cube, a pyramid, and a cylinder — would rotate at different speeds. Soaring 400 meters (about 1,300 feet), Tatlin's Tower would have been taller than the Eiffel Tower in Paris. The cost to erect such a building would have been enormous. But, even though the design was not built, the plan helped launch the Constructivist movement. By the late 1920s, Constructivism had spread outside the USSR. Many European architects called themselves constructivists, including Vladimir Tatlin, Konstantin Melnikov, Nikolai Milyutin, Aleksandr Vesnin, Leonid Vesnin, Viktor Vesnin, El Lissitzky, Vladimir Krinsky, and Iakov Chernikhov. Within a few years, Constructivism faded from popularity and was eclipsed by the Bauhaus movement in Germany. Bauhaus is a German expression meaning house for building, or, literally, Construction House. In 1919, the economy in Germany was collapsing after a crushing war. Architect Walter Gropius was appointed to head a new institution that would help rebuild the country and form a new social order. Called the Bauhaus, the Institution called for a new "rational" social housing for the workers. Bauhaus architects rejected "bourgeois" details such as cornices, eaves, and decorative details. They wanted to use principles of Classical architecture in their most pure form: functional, without ornamentation of any kind. Generally, Bauhaus buildings have flat roofs, smooth façades, and cubic shapes. Colors are white, gray, beige, or black. Floor plans are open and furniture is functional. Popular construction methods of the time — steel-frame with glass curtain walls — were used for both residential and commercial architecture. More than any architectural style, however, the Bauhaus Manifesto promoted principles of creative collaboration — planning, designing, drafting, and construction are tasks equal within the building collective. Art and craft should have no difference. The Bauhaus school originated in Weimar, Germany (1919), moved to Dessau, Germany (1925), and disbanded when the Nazis rose to power. Walter Gropius, Marcel Breuer, Ludwig Mies van der Rohe, and other Bauhaus leaders migrated to the United States. At times the term International Modernism was applied to the American form of Bauhaus architecture. Architect Walter Gropius used Bauhaus ideas when he built his own monochrome home in 1938 near where he taught at the Harvard Graduate School of Design. The historic Gropius House in Lincoln, Massachusetts is open for the public to experience genuine Bauhaus architecture. The Rietveld Schröder House in The Netherlands is a prime example of architecture from the De Stijl movement. Architects like Gerrit Thomas Rietveld made bold, minimalist geometric statements in 20th century Europe. In 1924 Rietveld built this house in Utrecht for Mrs. Truus Schröder-Schräder, who embraced a flexible home designed with no interior walls. Taking the name from the art publication The Style, the De Stijl movement was not exclusive to architecture. Abstract artists like Dutch painter Piet Mondrian were also influential in minimalizing realities to simple geometric shapes and limited colors (e.g., red, blue, yellow, white, and black). The art and architecture movement was also known as neo-plasticism, influencing designers around the world well into the 21st century. Toward the end of the 20th century, the term Functionalism was used to describe any utilitarian structure that was quickly constructed for purely practical purposes without an eye for artistry. For Bauhaus and other early Functionalists, the concept was a liberating philosophy that freed architecture from frilly excesses of the past. When American architect Louis Sullivan coined the phrase "form follows function" in 1896, he described what later became a dominant trend in Modernist architecture. Louis Sullivan and other architects were striving for "honest" approaches to building design that focused on functional efficiency. Functionalist architects believed that the ways buildings are used and the types of materials available should determine the design. Of course, Louis Sullivan lavished his buildings with ornamental details that did not serve any functional purpose. The philosophy of functionalism was followed more closely by Bauhaus and International Style architects. Architect Louis I. Kahn sought honest approaches to design when he designed the Functionalist Yale Center for British Art in New Haven, Connecticut, which looks much different than the functional Norwegian Rådhuset in Oslo. The 1950 City Hall in Oslo has been cited as an example of Functionalism in architecture. If form follows function, functionalist architecture will take many forms. One important trend in Modernist architecture is the movement toward minimalist or reductivist design. Hallmarks of Minimalism include open floor plans with few if any interior walls; emphasis on the outline or frame of the structure; incorporating negative spaces around the structure as part of the overall design; using lighting to dramatize geometric lines and planes; and stripping the building of all but the most essential elements — after the anti-ornamentation beliefs of Adolf Loos. 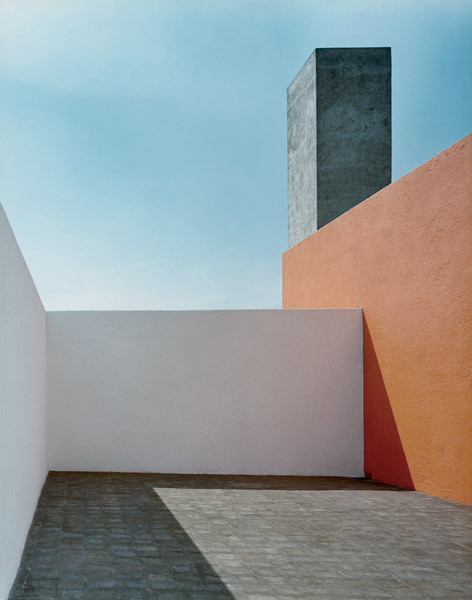 The Mexico City home of the Pritzker Prize-winning architect Luis Barragán is Minimalist in its emphasis on lines, planes, and open spaces. Other architects known for Minimalist designs include Tadao Ando, Shigeru Ban, Yoshio Taniguchi, and Richard Gluckman. Modernist architect Ludwig Mies van der Rohe paved the way for Minimalism when he said, "Less is more." Minimalist architects drew much of their inspiration from the elegant simplicity of traditional Japanese architecture. Minimalists were also inspired by an early 20th century Dutch movement known as De Stijl. Valuing simplicity and abstraction, De Stijl artists used only straight lines and rectangular shapes. International Style is a term often used to describe Bauhaus-like architecture in the United States. One of the most famous examples of the International Style is the United Nations Secretariat building, originally designed by an international team of architects including Le Corbusier, Oscar Niemeyer, and Wallace Harrison. It was completed in 1952 and meticulously renovated in 2012. The smooth glass-sided slab, one of the first uses of curtain-wall glass cladding on a tall building, dominates New York City's skyline along the East River. Skyscraper office buildings near the U.N. that also are International in design include the 1958 Seagram Building by Mies van der Rohe and the MetLife Building, built as the PanAm building in 1963 and designed by Emery Roth, Walter Gropius, and Pietro Belluschi..
American International style buildings tend to be geometric, monolithic skyscrapers with these typical features: a rectangular solid with six sides (including ground floor) and a flat roof; a curtain wall (exterior siding) completely of glass; no ornamentation; and stone, steel, glass construction materials. The name came from the book The International Style by historian and critic Henry-Russell Hitchcock and architect Philip Johnson. The book was published in 1932 in conjunction with an exhibition at the Museum of Modern Art in New York. The term is again used in a later book, International Architecture by Walter Gropius, founder of Bauhaus. While German Bauhaus architecture had been concerned with the social aspects of design, America's International Style became a symbolism of Capitalism. The International Style is the favored architecture for office buildings and is also found in upscale homes built for the rich. By the mid-20th century, many variations of the International Style had evolved. In Southern California and the American Southwest, architects adapted the International Style to the warm climate and arid terrain, creating an elegant yet informal style known as Desert Modernism, after the climate, or Midcentury Modernism, after the era. Desert Modernism was a mid-20th century approach to modernism that capitalized on the sunny skies and warm climate of Southern California and the American Southwest. With expansive glass and streamlined styling, Desert Modernism was a regional approach to International Style architecture. Rocks, trees, and other landscape features were often incorporated into the design. Architects adapted ideas from the European Bauhaus movement to the warm climate and arid terrain. Characteristics of Desert Modernism include expansive glass walls and windows; dramatic roof lines with wide overhangs; open floor plans with outdoor living spaces incorporated into the overall design; and a combination of modern (steel and plastic) and traditional (wood and stone) building materials. Architects associated with Desert Modernism include William F. Cody, Albert Frey, John Lautner, Richard Neutra, E. Stewart Williams, and Donald Wexler. This style of architecture evolved throughout the U.S. to become the more affordable Midcentury Modern. Examples of Desert Modernism may be found throughout Southern California and parts of the American Southwest, but the largest and best-preserved examples of the style are concentrated in Palm Springs, California. It was an architecture of the very rich — the Kaufmann's 1946 home designed by Richard Neutra in Palm Springs was built after Frank Lloyd Wright built the Kaufmann's Pennsylvania home known as Fallingwater. Neither home was the Kaufmann's primary residence. Structuralism is based on the idea that all things are built from a system of signs and these signs are made up of opposites: male/female, hot/cold, old/young, etc. For Structuralists, design is a process of searching for the relationship between elements. Structuralists are also interested in the social structures and mental processes that contributed to the design. Structuralist architecture will have a great deal of complexity within a highly structured framework. For example, a Structuralist design may consist of cell-like honeycomb shapes, intersecting planes, cubed grids, or densely clustered spaces with connecting courtyards. Architect Peter Eisenman is said to have brought a Structuralist approach to his works. Officially called the Memorial to the Murdered Jews of Europe, the 2005 Berlin Holocaust Memorial in Germany is one of Eisenman's controversial works, with an order within disorder that some find too intellectual. With cell-like apartments, Kisho Kurokawa's 1972 Nakagin Capsule Tower in Tokyo, Japan is a lasting impression of the 1960s Metabolism Movement. Metabolism is a type of organic architecture characterized by recycling and prefabrication; expansion and contraction based on need; modular, replaceable units (cells or pods) attached to a core infrastructure; and sustainability. It is a philosophy of organic urban design, that structures must act like living creatures within an environment that naturally changes and evolves. The 1972 Nakagin Capsule Tower is a residential building built as a series of pods or capsules. The design was to "install the capsule units into a concrete core with only 4 high-tension bolts, as well as making the units detachable and replaceable," according to Kisho Kurokawa Architect & Associates. The idea was to have individual or connected units, with prefabricated interiors lifted into the units and attached to the core. "The Nakagin Capsule Tower realizes the ideas of metabolism, exchangeability, recycleablity as the prototype of sustainable architecture," describes the firm. The 1977 Centre Pompidou in Paris, France is a High-tech building by Richard Rogers, Renzo Piano, and Gianfranco Franchini. It appears to be turned inside out, revealing its inner workings on the exterior facade. Norman Foster and I.M. Pei are other well-known architects who have designed this way. High-tech buildings are often called machine-like. Steel, aluminum, and glass combine with brightly colored braces, girders, and beams. Many of the building parts are prefabricated in a factory and assembled on site. The support beams, duct work, and other functional elements are placed on the exterior of the building, where they become the focus of attention. The interior spaces are open and adaptable for many uses. Rugged reinforced concrete construction lead to an approach popularly known as Brutalism. Brutalism grew out of the Bauhaus Movement and the béton brut buildings by Le Corbusier and his followers. The Bauhaus architect Le Corbusier used the French phrase béton brut, or crude concrete, to describe the construction of his own rough, concrete buildings. When concrete is cast, the surface will take on imperfections and designs of the form itself, like the wood grain of wooden forms. The form's roughness can make the concrete (béton) look "unfinished" or raw. This aesthetic is often a characteristic of what became known as brutalist architecture. These heavy, angular, Brutalist style buildings can be constructed quickly and economically, and, therefore, they are often seen on a campus of government office buildings. The Hubert H. Humphrey Building in Washington, D.C. is a good example. Designed by architect Marcel Breuer, this 1977 building is headquarters of the Department of Health & Human Services. Common features include precast concrete slabs, rough, unfinished surfaces, exposed steel beams, and massive, sculptural shapes. The Pritzker Prize-winning architect Paulo Mendes da Rocha is often called a "Brazilian Brutalist" because his buildings are constructed of prefabricated and mass-produced concrete components. The Bauhaus architect Marcel Breuer also turned to Brutalism when he designed the original 1966 Whitney Museum in New York City and the Central Library in Atlanta, Georgia. Designed by Jorn Utzon, the 1973 Sydney Opera House in Australia is an example of modern Organic architecture. Borrowing shell-like forms, the architecture seems to soar from the harbor as if it had always been there. Frank Lloyd Wright said that all architecture is organic, and the Art Nouveau architects of the early 20th century incorporated curving, plant-like shapes into their designs. But in the later 20th century, Modernist architects took the concept of organic architecture to new heights. By using new forms of concrete and cantilever trusses, architects could create swooping arches without visible beams or pillars. Organic buildings are never linear or rigidly geometric. Instead, wavy lines and curved shapes suggest natural forms. Before using computers to design, Frank Lloyd Wright used shell-like spiral forms when he designed the Solomon R. Guggenheim Museum in New York City. The Finnish-American architect Eero Saarinen (1910-1961) is known for designing grand bird-like buildings such as the TWA terminal at New York's Kennedy Airport and the Dulles Airport terminal near Washington D.C. — two organic forms in Saarinen's portfolio of works, designed before desktop computers made things so much easier. Combining new ideas with traditional forms, postmodernist buildings may startle, surprise, and even amuse. Postmodern architecture evolved from the modernist movement, yet contradicts many of the modernist ideas. Combining new ideas with traditional forms, postmodernist buildings may startle, surprise, and even amuse. Familiar shapes and details are used in unexpected ways. Buildings may incorporate symbols to make a statement or simply to delight the viewer. Postmodern architects include Robert Venturi and Denise Scott Brown, Michael Graves, Robert A.M. Stern, and Philip Johnson. All are playful in their own ways. Look at the top of Johnson's AT&T Building — where else in New York City could you find a skyscraper that looks like a giant Chippendale-like piece of furniture? The key ideas of Postmodernism are set forth in two important books by Venturi and Brown: Complexity and Contradiction in Architecture (1966) and Learning from Las Vegas (1972). Deconstructivism, or Deconstruction, is an approach to building design that attempts to view architecture in bits and pieces. The basic elements of architecture are dismantled. Deconstructivist buildings may seem to have no visual logic. Structures may appear to be made up of unrelated, disharmonious abstract forms, like a cubist work of art — and then the architect violates the cube. Deconstructive ideas are borrowed from the French philosopher Jacques Derrida. The Seattle Public Library by Dutch architect Rem Koolhaas and his team including Joshua Prince-Ramus is an example of Deconstructivist architecture. Another example in Seattle, Washington is the Museum of Pop Culture, which architect Frank Gehry has said is designed as a smashed guitar. Other architects known for this architectural style include the early works of Peter Eisenman, Daniel Libeskind, and Zaha Hadid. Although some of their architecture is classified as Postmodern, deconstructivist architects reject Postmodernist ways for an approach more akin to Russian Constructivism.
" The hallmark of deconstructivist architecture is its apparent instability. Though structurally sound, the projects seem to be in states of explosion or collapse....Deconstructivist architecture, however, is not an architecture of decay or demolition. On the contrary, it gains all of its force by challenging the very values of harmony, unity, and stability, proposing instead that flaws are intrinsic to the structure." Rem Koolhaas' radical, deconstructivist design for the 2004 Seattle Public Library in Washington State has been praised...and questioned. Early critics said that Seattle was "bracing for a wild ride with a man famous for straying outside the bounds of convention." It is constructed of concrete (enough to fill 10 football fields 1-foot deep), steel (enough to make 20 Statues of Liberty), and glass (enough to cover 5 1/2 football fields). The exterior "skin" is insulated, earthquake-resistant glass on a steel structure. Diamond-shaped (4 by 7 foot) glass units allow natural lighting. In addition to coated clear glass, half of the glass diamonds contain aluminum sheet metal between glass layers. This triple-layered, "metal mesh glass" reduces heat and glare — the first U.S. building to install this type of glass. Pritzker Prize Laureate Koolhaas told reporters that he wanted "the building to signal that something special is going on here." Some have said the design looks like a glass book opening up and ushering in a new age of library use. The traditional notion of a library as a place devoted solely to printed publications has changed in the information age. Although the design includes book stacks, emphasis is placed on spacious community spaces and areas for media such as technology, photography, and video. Four hundred computers connect the library to the rest of the world, beyond the views of Mount Rainier and Puget Sound. The Heydar Aliyev Centre, a cultural center built in 2012 in Baku, the capital of the Republic of Azerbaijan is a design by ZHA — Zaha Hadid and Patrik Schumacher with Saffet Kaya Bekiroglu. The design concept was to create a fluid, continuous skin that would appear to fold onto its surrounding plaza, and the interior would be column-free to create a continuously open and fluid space. "Advanced computing allowed for the continuous control and communication of these complexities among the numerous project participants," describes the firm. Computer-Aided Design (CAD) moves to Computer-Driven Design in the 21st Century. When architects began using high-powered software created for the aerospace industry, some buildings started to look like they could fly away. Others looked like big, immobile blobs of architecture. In the design phase, computer programs can organize and manipulate the relationships of a building's many interrelated parts. In the building phase, algorithms and laser beams define the necessary construction materials and how to assemble them. Commercial architecture in particular has transcended the blueprint. Algorithms have become the design tool of the modern architect. Some say that today's software is designing tomorrow's buildings. Others say that the software allows exploration and the real possibility of new, organic forms. Patrik Schumacher, a partner at Zaha Hadid Architects (ZHA), is credited with using the word parametricism to describe these algorithmic designs. When did the modern era of architecture begin? Many people believe the roots of 20th century Modernity are with the Industrial Revolution (1820-1870). The manufacturing of new building materials, the invention of new construction methods, and the growth of cities inspired an architecture that became known as Modern. Chicago architect Louis Sullivan (1856-1924) is often named as the first modern architect, yet his early skyscrapers are nothing like what we think of as "modern" today. 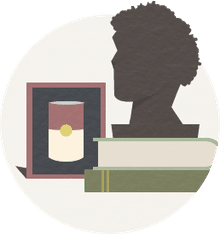 Other names that come up are Le Corbusier, Adolf Loos, Ludwig Mies van der Rohe, and Frank Lloyd Wright, all born in the 1800s. These architects presented a new way of thinking about architecture, both structurally and aesthetically.
" All modern creations must correspond to the new materials and demands of the present if they are to suit modern man; they must illustrate our own better, democratic, self-confident, ideal nature and take into account man's colossal technical and scientific achievements, as well as his thoroughly practical tendency — that is surely self-evident!" " The more rigorously one searches for the origin of modernity...the further back it seems to lie. One tends to project it back, if not to the Renaissance, then to that movement in the mid-18th century when a new view of history brought architects to question the Classical canons of Vitruvius and to document the remains of the antique world in order to establish a more objective basis on which to work." What is the Phaidon Atlas? Who designed that steel tube chair you're sitting on?